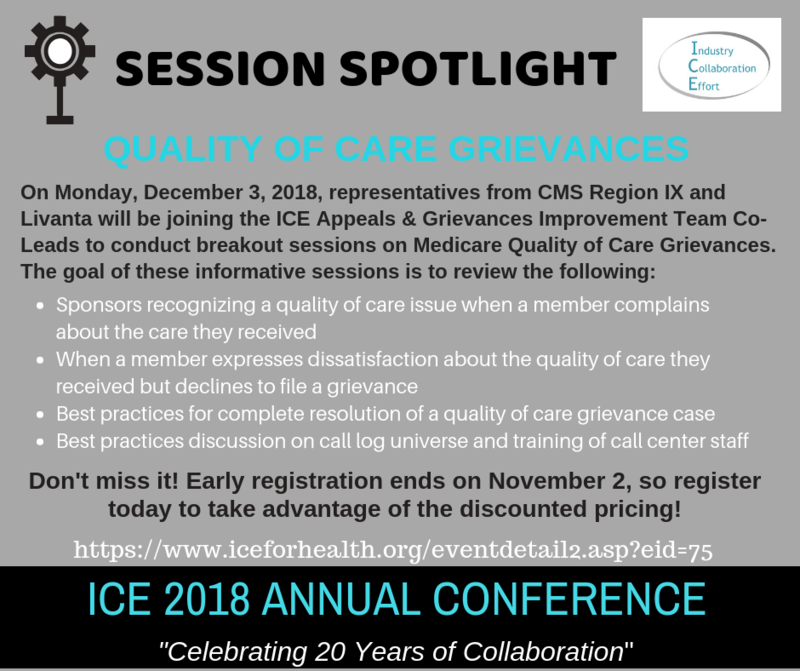 ICE 2018 Conference Session Spotlight - Quality of Care Grievances / Early Reg Ends Friday! Subject: ICE 2018 Conference Session Spotlight - Quality of Care Grievances / Early Reg Ends Friday! To access the online registration link for the ICE 2018 Annual Conference, click here.